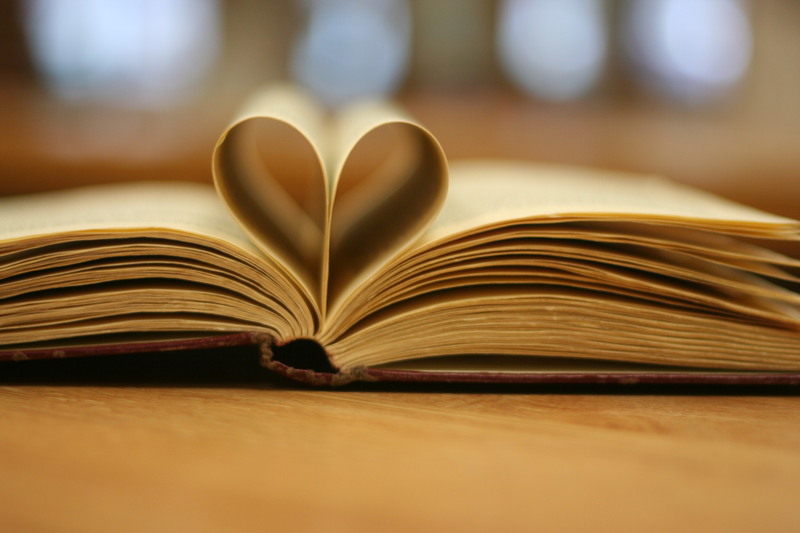 Diversify your Summer Reading with Free Books! Dear book lovers: This offer was too good not to share! Celebrate World Book Day with Amazon Crossing by downloading free Kindle books by authors from North Korea, Greece, Sweden, Japan, Turkey, Russia, Indonesia, Spain and Chile. This offer is good until midnight tomorrow (April 24th.) I’ve downloaded them all and am really enjoying The House by the River by Lena Manta from Greece. The story is taking my mind all over the world! Follow this link to download your free books today! I’ve started reading a poem a day from the Poetry Magazine to which I recently subscribed. I keep the magazine on the nightstand beside my bed so I will reach for it as soon as my alarm goes off. When I get the chance, I reread the poem throughout the day, sometimes out loud, to find and feel its rhythm. Every morning I wake up craving my new poem. At the end of her presentation, Lanier encouraged us to spend time with the bass notes—with things that resonate deeply and take a long time to make. Like trees and books, Lanier suggests. Like poems, children, art galleries and churches, I’d add. How about you? 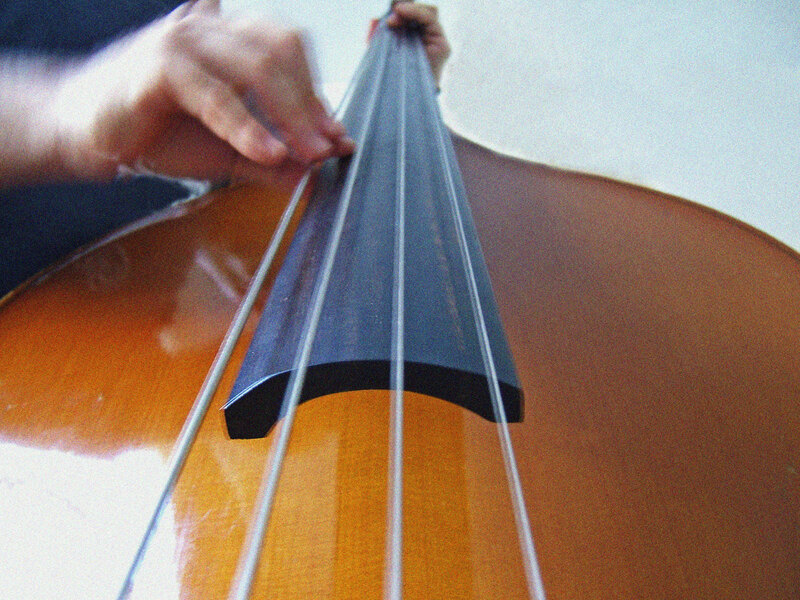 What bass notes do you crave? What resonates deeply within you? White youth are ill-equipped to participate in conversations about racism and respond to such conversations with anxiety, guilt, cognitive dissonance, or even anger. Upon reading this, I immediately thought of my white students who go silent whenever the topic of race or racism arises. I had interpreted this silence as a lack of courage to engage a difficult topic or a lack of interest. Harvey, who teaches at Drake University, offers me a more empathetic understanding. She describes how her white students struggle to find a meaningful place from which to participate fully in conversations about diversity and race, even while they get pressure from adults to do so as they grow older. Her white students are often aware that racial tensions exist. Many of them also know or sense that these tensions have to do with injustices white people have committed. This awareness—combined with the absence of nuanced, supportive, complex discussions about race—reveals itself as anxiety, guilt, cognitive dissonance or anger when the topic of race arises. Contact: Race is not perceived as a meaningful difference. Disintegration: What do you mean we’re not all equal? Autonomy: I have a sense of my abilities, agency, facility, and language around race and antiracism. Having a sense of what white growth looks like along the way helps us have better conversations about our antiracist development—what it looks like, how we get there, and how our children can get there. Other appreciations: Overall, I recommend this book not just to parents of white children, but also teachers seeking to help their white students engage in topics of race in the classroom. I especially appreciated the examples of real conversations Harvey has had with her own children. Harvey is not just a scholar writing a book, but also a parent trying her best to raise her own white children to be antiracist advocates. Finally, Harvey includes an invaluable list of resources for further study and support. 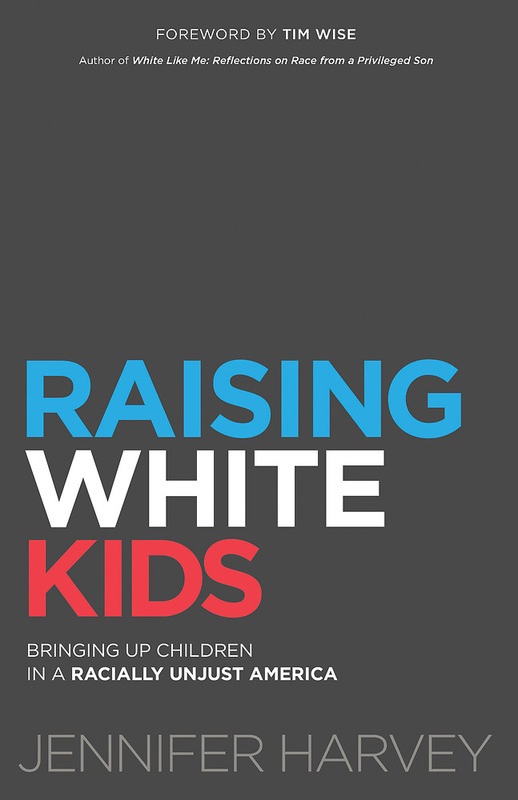 **Interested in reading Raising White Kids: Bringing Up Children In A Racially Unjust America for yourself? Well, SURPRISE, I have a free hardcover copy to give away! The first person to leave me a comment below saying they want the book wins the prize. I will contact you for your shipping information. What story does our budget tell? As an essayist, you love ideas and events and might balk at examining, say, a budget—yet a budget is a statement of the values of whatever organization adopts it, as well as an expression of hope that the future will turn out according to a given prediction expressed in numbers. A budget is an expression of philosophy—ideas—and also a blueprint for future events. It expresses an ethical stance. It makes sense that we reveal our priorities by what we are willing to spend our money on—and how much: Battle tanks or famine relief? Affordable housing or a new sports stadium? A special education teacher or another administrator? You just have to practice reading such a dry document and learn to tease out its inherent drama. Once you have trained yourself to do that, you have essentially learned a whole new language with which to listen to stories. This got me thinking. 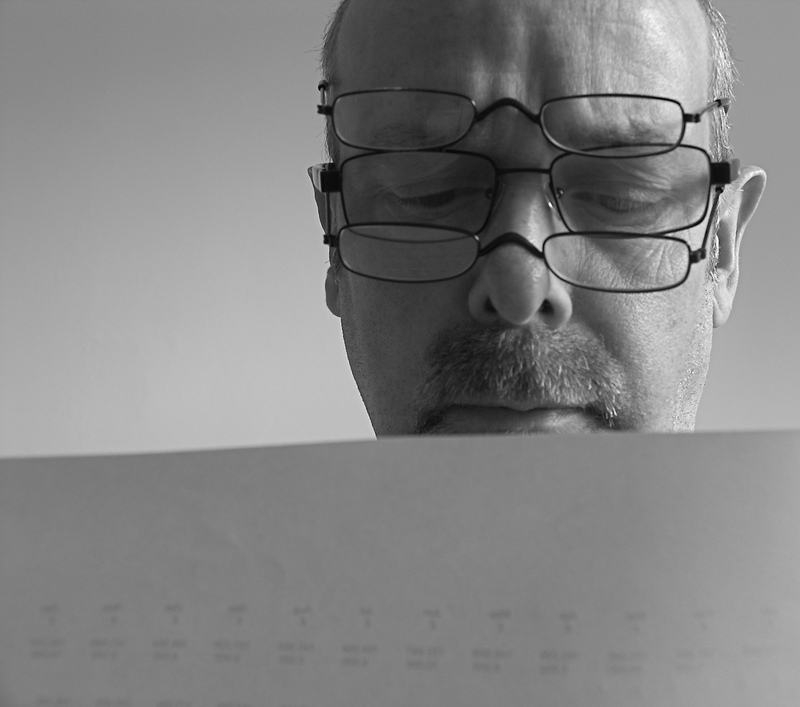 What story does my personal budget, my church’s budget, our national budget tell? What do we spend money on? What do we save money for? What is our ethic of debt? Does our budget reflect a value for others and others’ lives? Or is it just for ourselves? What kind of future does our budget predict? Is it a blueprint of hope? The U.S. government will spend about $500 billion more over the next two years, the largest increase in federal spending since the stimulus during the Great Recession. The bulk of the extra spending would not be paid for, meaning the United States’ $20 trillion debt would get worse…More than 60 percent of the extra funding would go toward military spending. The drama inherent in our national budget speaks to the fear and anxiety of our time. Clearly, we feel the need to protect ourselves. We need to arm ourselves nine times over the other guy. Clearly, we have faith in our weapons, but not enough faith to cap how much we spend on them. We hope our guns will save us, while also knowing deep down that they won’t. This story is disturbing—especially when I consider all we could fund if our military budget was reasonable. Public Education. Health care. Housing developments for the poor. Community centers. Playgrounds and parks. Public transportation. Capping our insatiable addiction to weaponry would alter our budgetary blueprint. It would also offer us a new national story—one I would be proud to tell. Be patient toward all that is unsolved in your heart and try to love the questions themselves, like locked rooms and like books that are now written in a very foreign tongue. Do not now seek the answers, which cannot be given you because you would not be able to live them. And the point is, to live everything. Live the questions now. Perhaps you will then gradually, without noticing it, live along some distant day into the answer. This passage inspired Frykholm to pursue a vocation of writing, or as she sees it, a life spent living the questions. I was able to sit down with Amy for an interview on our college’s radio station. 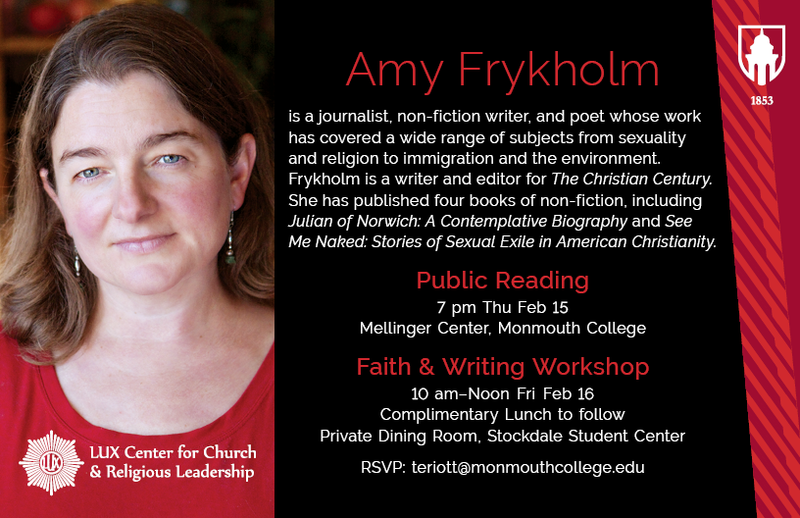 During our thirty minutes on air, I asked Amy about her religious and spiritual background, her call to write, and how writing might serve as a spiritual practice. Listen to our conversation here on WPFS – Proud Fighting Scots Radio. 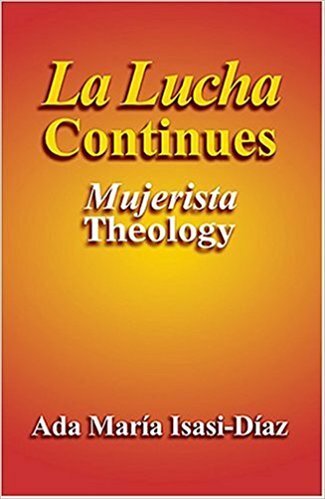 The Christian Century recently published another essay of mine inspired by my work with some of my amazing Latina students. Follow this link to read: Grappling with race as a white college chaplain. White people need to educate other white people about race. Honestly, before reading this book, I thought I could only learn about race from people of color. (I’m embarrassed and ashamed to have just typed that sentence.) White people often fail to recognize that “white” is also a race that we need to understand. If we can understand whiteness and white culture, then we can better understand the challenges we pose to people of other races when we expect them to act like us, speak like us, learn like us, etc. Irving, whose suburban upbringing was a lot like my own, helped me identify a variety of beliefs and behaviors indicative of white culture, such as: conflict avoidance, emotional restraint, a sense of urgency about time, a habit of asking social locator questions like “What do you do? Where are you from? Where did you go to school?” to determine what box we should put people or gage the level of success they have achieved. I am guilty of this white judgmentalism and am determined to break this habit of asking “social locator” type questions. Fair does not mean equal. Equality starts with equity. “Equity,” Irving writes, “means both holding people of differing needs to a single expectation and giving them what they need to achieve it.” In other words, equity is a way to level the playing field and equality cannot be achieved without it. She illustrated her point with a hypothetical: If there was a test that involved students writing their answer on a line on the board—a line five feet above the ground—what would you do for the shorter students who couldn’t reach the line? You’d make the test equitable by giving the shorter students a step up so they could meet the same expectation as the taller students. Such steps—like affirmative action—level the playing field to make it more equitable. I am convicted by Irving’s words, realizing that I have lived most of my life as a bystander, as someone who has aided and abetted the system of racism because I was SO unaware and because I lacked the courage to do anything about it. Irving shares that her ultimate goal is to interrupt racism, advocate against it, and educate without doing more harm than good. Even though I know I will make lots of terrible mistakes, I’m committed to this goal as well. The burden to right this wrong is on those of us who benefit from this unfair and inequitable system. Will you join me? 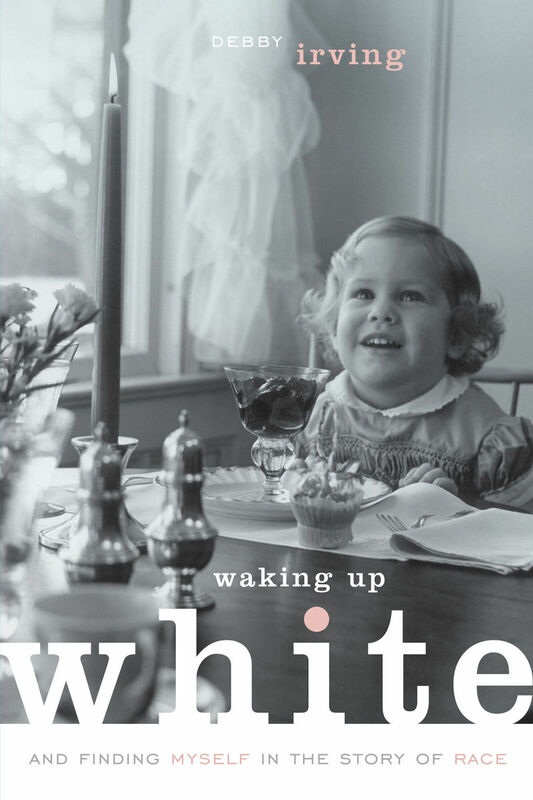 Reading “Waking Up White” with your friends, co-workers, or church groups is a great place to start.